There are several credit card companies today which benefit consumers in various ways. There are slight differences in the credit cards which they offer. A career in a credit card company is both rewarding and challenging. The companies foster an environment where you will grow and reach the pinnacle of success. You will work around the world and be a part of exciting projects. You will have to face professional challenges successfully for success. 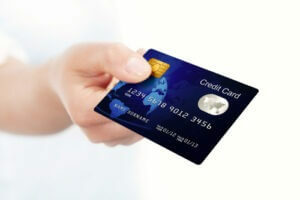 As credit card companies introduce a wide range of credit cards these cards have become a way of life. The convenience of usage is what has made credit cards very popular. Most individuals today make use of more than one credit card to avail the benefits which are offered on different kinds of transactions. If you want freedom and flexibility in your career, you can consider joining a credit card company. If you are a cut above the rest, it will be easier for you to succeed. One important position you can aim at is the credit card production manager job role. The Bureau of Labor Statistics states that the primary responsibility as a credit card production manager is to lead and direct a group of employees. You will have to devise strategies which will lead to growth of the firm. When you work in the capacity of a credit card production manager, you will have to train new employees. With experience and expertise you will climb the ladder of success in the credit card world. You should be able to handle strategies effectively. With prior experience in this field, you will be equipped to take right decisions. In comparison to other employees in the firm, you will be expected to have higher levels of creativity. With this edge, you can ensure that the strategies of the firm are superior to that of the competitors. As you contribute in the credit card industry, you will ensure that the amount of business held by your company is on the rise. You will directly report to the top management. For an entry level position, you will have to acquire a bachelor’s degree. You will require at least 5 years of minimum experience in credit card products or a relevant field. With high creativity levels and strong management skills excelling at the job is easy. The salary levels will vary according to experience, level of education, company size and industry. As a credit card product manager, you will have to devise and maintain marketing plans. Your aim will be towards business growth and achieving business targets will be one of your responsibilities. Roles and responsibilities include reviewing market trends and analyzing the activities of the competitors. Identifying opportunities and initiating product ideas will be some duties. As you gain experience and expertise, it will be easy for you to carve a niche. You can look forward to a stable and secured future as you serve a credit card company as a credit card product manager. If you want to make it big in one of the reputed credit card companies, it is essential that you plan your career path well in advance. For a successful career, you must ascertain your career goals early. Decide on the type of companies which you want to work for. Find out if your skills are adequate for the job role. Work upon your weak areas and identify traits which work in your favor. For a start in this field, you can begin as a supervisor. As you strive hard and deliver work, you will gradually move up to the position of a credit card product manager. Author Bio: Garry Gately is a regular visitor at www.bestcredit.net and feels that the website offers adequate information on credit cards. He finds the blog and the content in the website very useful.